Typically in basement suites, there is a small amount of natural light. This is why the often feel small and dark. One way to combat this is through paint colour. Now, in a basement suite paint colour brightness is more important than lightness. Using brighter/warmer colours can achieve the same effect as painting the basement white. If you do decide to paint the walls white, make sure you use some darker accent colours to create contrast. 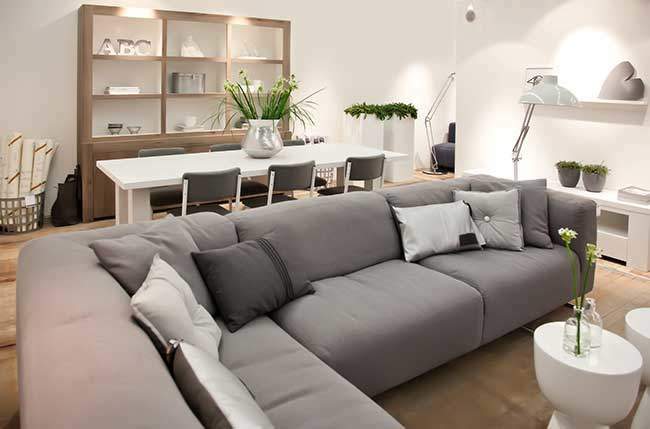 Avoid any sort of crowded patterns or large areas of dark colour on walls, instead opt for solid neutral colours!